"This charming, funny chronicle of an 'experiment in extreme friending' explores the bonds between women--and the idea that the world is peopled with potential BFFs." September 2012: Rachel and MWF Seeking BFF are profiled in The Chicago Tribune. Read the full article. July 15, 2012: The New York Times includes MWF Seeking BFF in the Sunday Styles section, “Web Sites Seek to Help Women Find Friends.” Read the full article. July 2012: Ladies Home Journal names MWF Seeking BFF one of it’s favorite beach reads. February 12, 2012: MWF Seeking BFF moves up to #27 on the New York Times Best Sellers List! February 5, 2012: MWF Seeking BFF hits the New York Times Best Sellers List at #31! January 18, 2012: HelloGiggles says “whether you’re looking to make new friends or think you’re totally set in your ways, MWF Seeking BFF is highly enjoyable, smart edutainment. Rachel’s writing has that effortless balance of funny-clever-cool…” Read the full “Shiny, Happy Book Club” review. January 9, 2012: Chicago Tribune calls MWF Seeking BFF “a breezy, unexpectedly thought-provoking book that does to conventional wisdom about female friendships what Thelma and Louise — oblique spoiler alert! — did to that nasty trucker.” Read the full article. January, 2012: O, The Oprah Magazine calls MWF Seeking BFF one of “10 Titles to Pick Up Now.” Check out the whole list. January, 2102: American Way says “Bertsche’s natural voice and easy, honest prose may leave readers wanting to befriend the first-time author themselves. Read the review. January, 2012: Chicago Magazine calls MWF Seeking BFF a “hilarious, humbling journey” that you should “put on your book club list now.” Read the review. December 22, 2012: Rachel gives tips on how to make new friends (with a cameo from her husband!) on the NPR Podcast How To Do Everything. Listen now. December 19, 2012: The Associated Press says “a reader cannot help but root for Bertsche, cheer her successes and consider trying out some of her ideas.” Read the review. December 18, 2011: The New York Post calls MWF Seeking BFF “required reading.” Read the full review. December 17, 2011: MWF Seeking BFF is a Chicago Tribune “Editor’s Choice.” Read the full review. December, 2011: Goodreads calls MWF Seeking BFF one of the December “Movers & Shakers.” Read the full list. September 27, 2011: More magazine includes MWF Seeking BFF on their list of “20 Books About The Enduring Bonds of Friendship.” Check out all 20. September 12, 2011: Publisher’s Weekly calls MWF Seeking BFF a “sweet memoir” that “is grounded in what most everyone is looking for—more fulfilling relationships and a sense of belonging—and [Bertsche] bravely provides some of the tools, including openness, persistence, and self-awareness, needed to attain these rewards.” Read the full review. September, 2011: O, The Oprah Magazine includes MWF Seeking BFF in their 30 Days of Makeovers. Get Rachel’s three tips for turning a friend into an acquaintance. July 1, 2014: Rachel talks Jennifer, Gwyneth & Me on Good Morning America. Watch the segment. 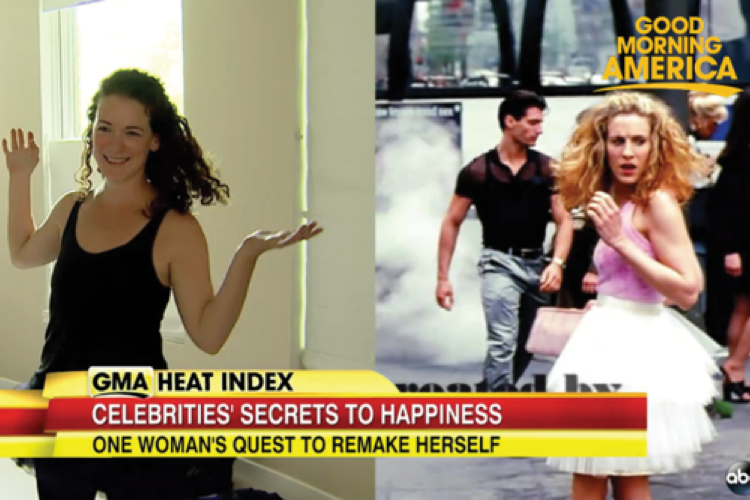 July 1, 2014: Rachel appears on Huffington Post Live to discuss celebrities and happiness. Watch the segment. July 1, 2014: The Boston Herald says “Bertsche is funny, creative and, more importantly, manages to stay sane. While she is trying to see if celebrities hold the secret to happiness, she is also trying to have a baby, which brings perspective to what she is trying to do… This book is for everyone, not just women, because what guy doesn’t want David Beckham’s abs or Will Smith’s charm?” Read the full review. July 1, 2014: InStyle.com features Rachel’s tips for living like a celebrity. July 1, 2014: Refinery29 includes a Q&A with Rachel. July 1, 2014: StyleBistro did a Q&A with Rachel. July 2014: Cosmopolitan suggests you take Jennifer, Gwyneth & Me to the beach this summer. Check it out. June 27, 2014: Shape.com includes Jennifer, Gwyneth & Me in its list of “The Ten Best Beach Reads of 2014.” See the full list. May 19, 2014: Flavorwire names Jennifer, Gwyneth & Me one “20 New Nonfiction Books That Will Make You Smarter.” Read the review. March 31, 2014: Publisher’s Weekly says readers of Jennifer, Gwyneth & Me will “alternately laugh and cringe” and “examine their outlook on perfection, self-acceptance, and aspiring to be one’s very best self.” Read the full review.